This is a list of Airbnb’s, hostels and hotels I’ve stayed at and worked from. 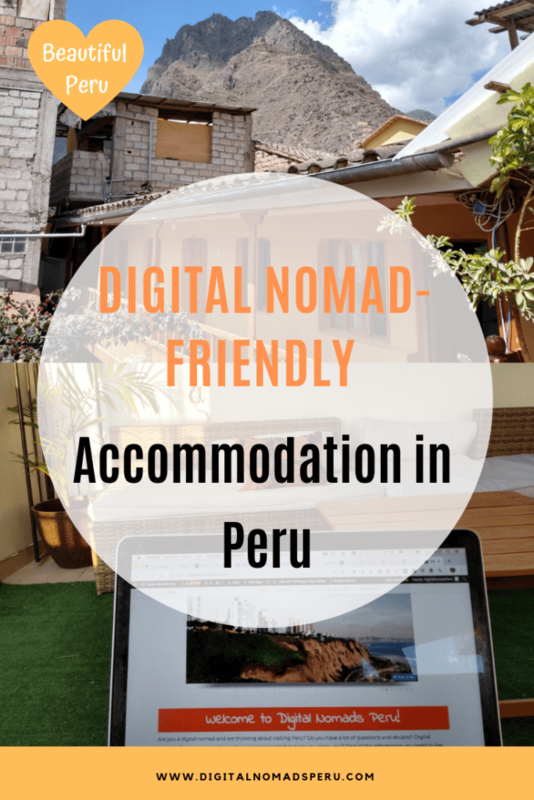 All these places are suitable for digital nomads, even if you need to use Skype for video conferences as a teacher or coach. The towns are listed in alphabetical order. This page will be updated regularly. If you would like me to add another accommodation you’ve found to be nomad-friendly, please contact me. You should have either spent time at that place yourself or own it. In both cases, you’ll need to give me the exact download and upload speeds of the wifi. If you own a place you’d like to rent to nomads, it has to be listed on Airbnb or another major booking website. For safety reasons, I don’t list private offers here. 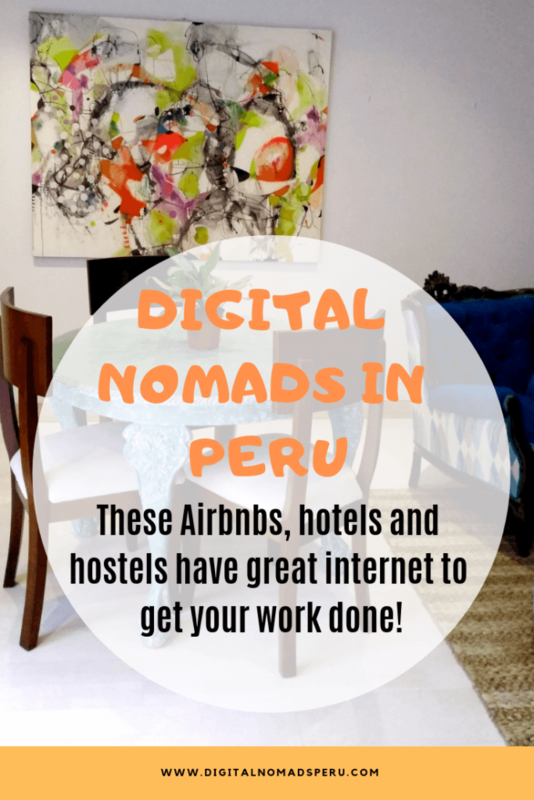 However, you’re welcome to post a private offer in the Digital Nomads Peru group on Facebook. 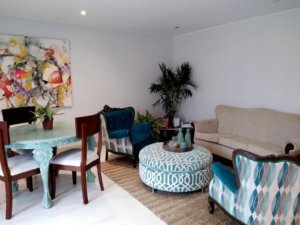 Don’t have an Airbnb account yet? Use the button below to sign up and receive a US$ 25 travel credit for your first booking. It’s like a mini-hostel and run by a very nice Peruvian couple. They rent 4 rooms and have two shared bathrooms, one for men and one for women. Downstairs, there’s a restaurant where breakfast and lunch are served Monday to Saturday. The city centre is a 20-minutes walk away and the neighbourhood really quiet and residential. I stayed there for three weeks in March/April 2018 and really liked it. 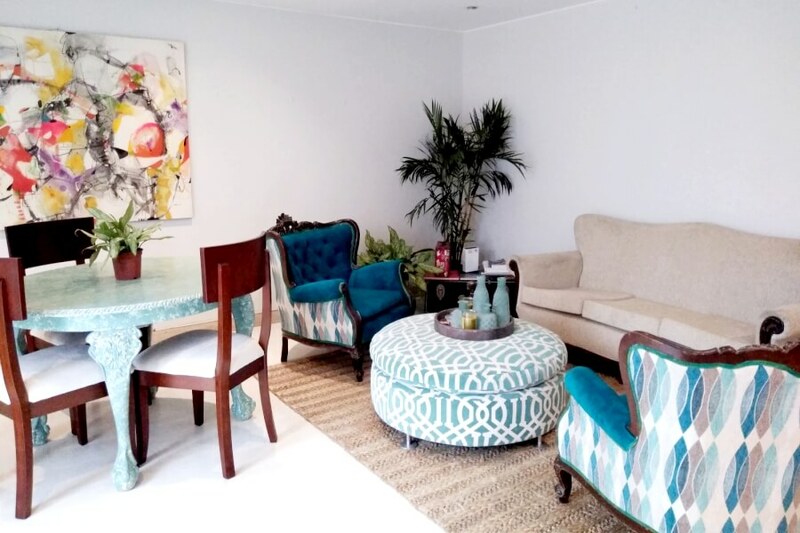 My favourite Airbnb, run by a Dutch-Peruvian couple who rent 5 rooms in their house. There are two shared bathrooms and you can have breakfast for 7 soles if you ask for it. 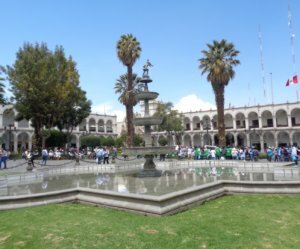 The city centre is a 30-minutes walk away or you can take a taxi for 5 soles. 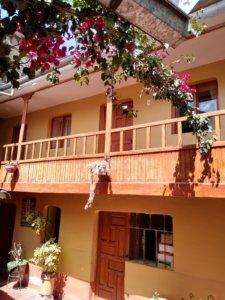 For more information and pictures, read the comprehensive post I wrote after spending the whole month of October 2018 in Cusco at exactly this Airbnb. This hotel was a nice surprise as far as internet speed is concerned but I also loved the rooftop terrace you can see in the picture. Sitting there was much nicer than being stuck in the room. The hotel is situated a 30-minutes walk from Ica city centre (which isn’t very interesting) and not far from the Huacachina oasis. Please click here if you’d like to read more about Ica and Huacachina. I’m co-hosting this place when I’m in Lima. There are repeaters so you can work in every room and also on both terraces. 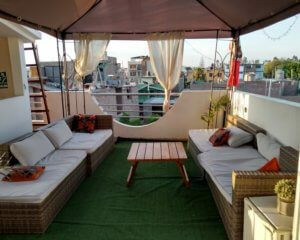 The apartment is located two blocks from the ocean and a 10-minutes walk from Barranco’s main square. For more information and pictures, please continue reading here. There was a construction site next to the room when I stayed there for one month in April/May 2018. However, they should be finished now. 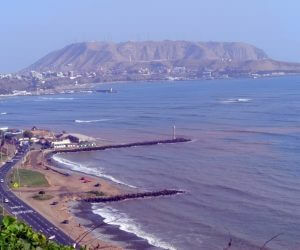 Apart from that, the building is situated in a quiet part of Miraflores, a 10-minutes walk from Parque Kennedy. The internet was sometimes a little unstable but no major problems. Very nice family. This one was a nice surprise. I hadn’t expected good internet in Ollantaytambo. 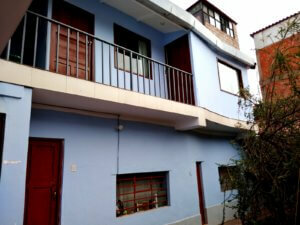 The place is situated one block from the main square and a 5-minutes walk from the archaeological site. The rooms are pretty small and there’s no desk. As there’s no common room, either, you probably don’t want to stay there for more than one or two nights. However, if necessary you’ll be able to get some work done. A simple breakfast is served at the cafe nearby. The owners were friendly but I didn’t see much of them, most of the time, there was nobody at the reception. Do you like this list? Then why not share it on Pinterest so that other nomads can find it, too. Gracias.